Sorry for kicking off with a bit of a downer in that headline, but it's important to gauge the vibe of this week's column right off the bat. Don't get me wrong, we've had some great news out of this week - I'll come to that later - but first we should address the once-$3-billion-dollar-valued elephant in the room, Jawbone. You could have seen it coming a mile away, of course. Over the last year there have been multiple reports that Jawbone was struggling, and when it essentially went into a communication blackout the writing was on the wall. Earlier this year its CFO also left the company, dashing any remaining hopes of an IPO. No doubt it was still trying to find an avenue out of its predicament, but to say its death has been drawn out would be an understatement. Jawbone is going to be partly reborn as Jawbone Health Hub, which looks like it will pivot away from consumers and towards patient care. But as I opined here, Jawbone's DNA lives on in our fitness trackers, and I hope its excellent software will have a future, even if that future is in medical care. 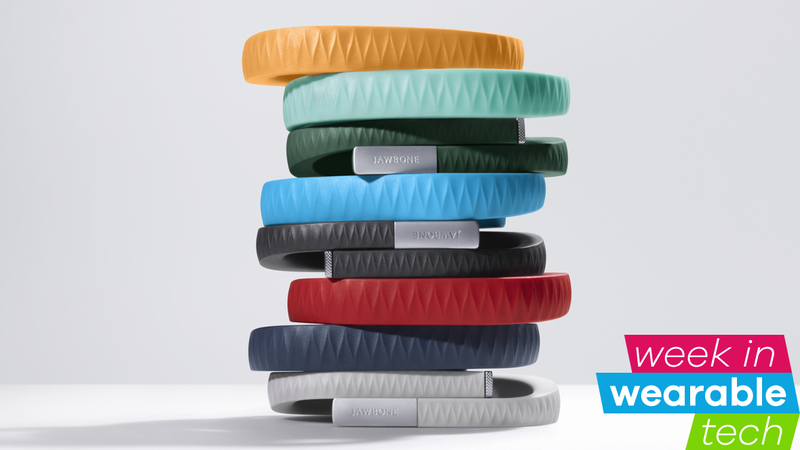 Jawbone was early on the scene, building fitness trackers that were a bit flimsy but proved that wearable tech could be good looking, discreet and functional. Its app was the standout feature though, one of the first to give useful feedback on that step and sleep tracking data. But you know what? Tech isn't easy to get right. Certain people at Fitbit might tell you the same, as more reports claim it's struggling with its upcoming smartwatch. Samsung's not having a great time with its Bixby smart assisitant either, which is reportedly holding up work on its upcoming smart speaker - another thing we learned this week. AI is hard. Wearable tech that's both fashionable and useful is hard. Along the way, there are bound to be casualties - it's just a shame that Jawbone was one of them. Not the best week for fitness trackers then, but there have been plenty of positives too. Like Sophie's review of the Fossil Q Accomplice which - spoiler alert - she rather liked. "Sure, you might encounter some connectivity problems along the way and you may be itching for more features before long, but this is a solid starter wearable for the fashion pack." Her very words, but be sure to check out the full review. We're also extremely excited about AR right now, and this week our US reporter Husain Sumra got to try out Everysight's Raptor smartglasses which are made for cyclists, but may have much bigger potential. We also got our first glimpse of Samsung's all-in-one VR headset that looks set to offer the works, hand and eye tracking included. Wowza. And speaking of augmented reality, next week on Wareabale is AR Week, taking a look into this exciting industry that will be as broad as it is deep. Trust me, you won't want to miss it. As for this weekend, I'll be pouring one out for our fallen comrade Jawbone.